Lovely rooms along with the interior design of the entire property. 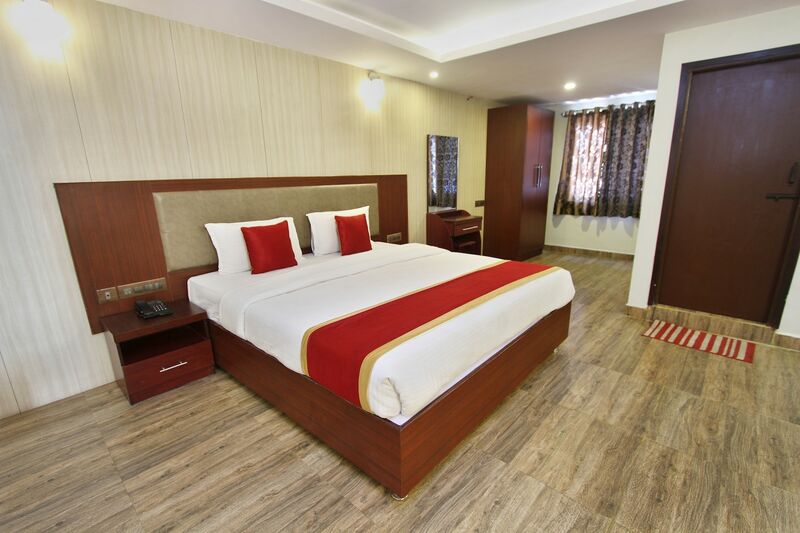 Hotel The Libra in situated near the Christ College and Forum Mall in Bengaluru and offers a wide range of rooms within a reasonable price range. The rooms are painted in a wide range of soothing colors that create a very pleasant atmosphere. All rooms have been provided with a lot of free space for movement. Large windows have been provided in each room which is covered with long and thick curtains. The floors are wooden. The extra amenities provided by the hotel are a constant power backup source, card payment in all forms, a common lounging area, a common dining area, an elevator facility, laundry provisions, CCTV cameras, and free Wi-Fi. All these facilities are maintained by a team of dedicated staff. The hotel is close to a number of recreational sources such as PVR Cinemas, the Star Mall and the Ganesha Temple.